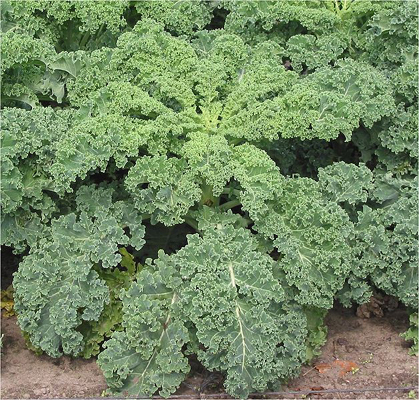 Plant kale as soon as the ground can be worked, very frost tolerant. Kale leaves can be used at any time for salads or as garnishes. Leaves are “cropped”, leaving the bud to grow new leaves, or the entire kale plant is harvested at one cutting. For a fall crop, wait until the kale plants are touched by a frost to sweeten the taste. Kale maintains flavor best when frozen.